This is a nice short cozy suitable for when you need a quick read. Yvette Keller's performance brings the characters to life, adding excitement and drama. The Corpse in the Cabana: A Viola Roberts Cozy Mystery, is the first book in a great series! Viola Roberts is a historic romance writer attending a writer's convention and a murder takes place. She discovers the body and is prime suspect! You will have fun gathering clues and suspects along with Viola. The other characters are interesting. There are plot twists and turns galore. Don't miss this series. Viola Roberts, author of historical Western romances, has gone to St. Perrysburg, Florida to attend The Novel Writers of America Conference in The Corpse in the Cabana by Shéa MacLeod. She and her best friend, Cheryl Delany another writer, enjoy the change of scenery from their home in Astoria, Oregon when the first night they spot the 50-something number one best selling romance writer in the country, Natasha Winters, dancing very sexually with Kyle, a young hotel employee half her age. Her divorce is not yet complete with her manager, Jason Winters, whom she caught having an affair with fellow romance writer, Piper Ross, both of whom she has blackballed from the publishing world. As Cheryl makes a snarky comment about Natasha's cougar- like behavior, the older woman hears and attacks Cheryl, leading to a major cat-fight that has to be broken up by Viola and Lucas Salvatore, the top thriller writer who has shown interest in one of the pair of best friends. Later that night, as Viola trudges across the sand, passing the cabanas on the beach, she spots a body in one of the cabanas, and the person appears to be in distress. Going forward to examine the individual, Viola realizes that this is the dead body of Natasha Winters, and she has been stabbed. The detective in the case, Detective Costa, a.k.a. "Detective Hottie," finds Viola suspicious because she found the body and Cheryl because of the big fight she had with Natasha. 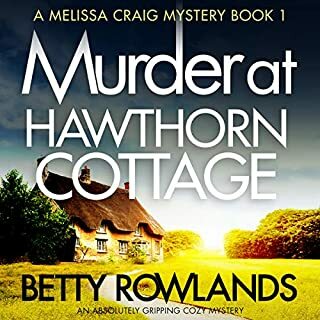 Told not to leave the island until they get closer to a solution for the case, Viola determines to investigate for herself, along with the reluctant assistance of Cheryl and periodic assistance of Lucas. The Corpse in the Cabana has an interesting premise, based on the cutthroat world of publishing, as each author tries to get on top of the next and bump the others from the position. We see most authors trying to put each other down in order to be the best. Natasha once told Viola that her readers were intrinsically dumb and just needed to just be spoon-fed her usual craft in order for her tu stay on top, something she would even sacrifice her mother to do. Incidentally, this does not reflect my personal experience among the world of authors. I had previously imagined the world of authors to be like this, which is much like the world of academia as I experienced it, but as I got to know authors on Facebook, I discovered that most are very supportive of each other. They recognize that readers don't limit our books to only one author but read a wide variety of writers. Many seem to team up to promote each other's books and even hold writers groups to help each other's books improve in quality. One detail I appreciated about this book is that Viola as the main character does not limit herself to the typical persons as the author as a fit, young character. Instead, Viola is in her early 40s and more like a donut than a celery stick. It is nice to see a real person instead of the images we often see in mystery books, especially given how many pastries people in these books consume. I liked the audio narration of Yvette Keller. She adds life to the book and drama to the more intense situations. Her depictions of the book strongly help to make it more fun for the listener. I had a very good time listening to The Corpse in the Cabana. The book has some vivid characters and fun scenes. I especially enjoyed the interaction between Viola and Cheryl and look forward to seeing their relationship expand in future books. I give this book five stars. 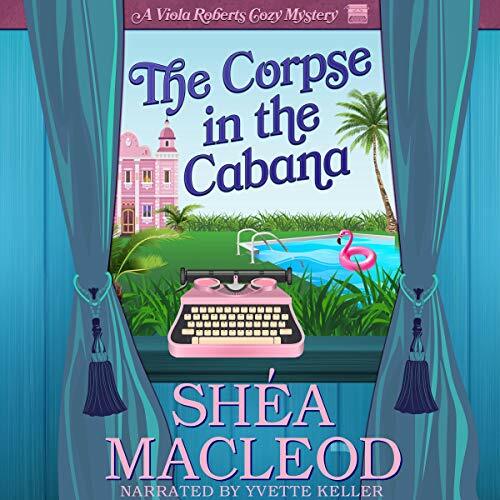 Yvette Keller's reading of the Corpse in the Cabana allows you to curl up with two hands around a tea cup as you listen to this cozy mystery. Viola comes to life as she and her gal pal get into and out of trouble And back into more trouble again. Each character is more fully formed and rich when combining Shea's words and Yvette's vocals. 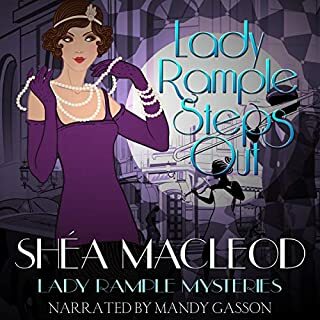 This was a very fun and enjoyable cozy mystery. The narrator, Yvette Keller, did an outstanding job. I'm going to devour these books! 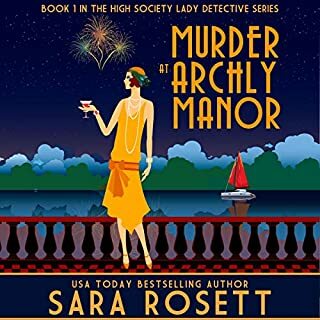 I absolutely love cozy mysteries but I am usually cheap and go for the ones with the longest hours vs credit. I am so glad that I spent a credit to buy this book. With most cozy mysteries, there's always at least one scene which causes me to roll my eyes. My eyes were spared spasms as I encountered none of those scenes here. After finishing it, I've already purchased the whole series and am looking forward to binging on Viola. This story wasn't too complex; a fun adventure to follow. It was easy to listen along while I worked, with amusing characters, and didn't require that every word be followed in order to understand what was happening. The narrator's voice is smooth and enjoyable, and a great cadence. Viola Roberts is attending a writer's conference on a Floridian island with her BFF Cheryl. They stumble upon the dead body of a diva romance author, the type of person whom everyone would like to "kill". Together Viola and Cheryl investigate who the killer is. 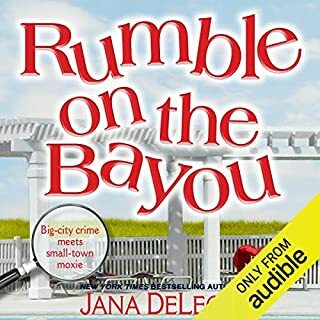 I listened to this first book in a series on audio. The narrator Yvette Keller has a clear, crisp voice, which made it for pleasant listening. Her voice seemed appropriate for the main character. She was able to distinguish amongst the different characters. 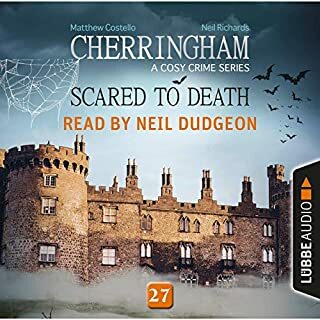 The narration was at an even pace, but I felt the dialogue was stiff and forced, as though the narrator was trying too hard to convince the listener. There were times that I did not feel drawn in to the mystery and my mind was wandering. I was not sure if that was due to the writing, the narration, or due to other life events which demanded more of my attention. This seems like a fun cozy series with a slight touch of romance. I'd be willing to try the second book in the future. I received this audiobook from the narrator for purposes of an unbiased review. 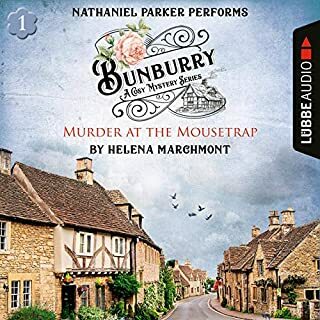 I really enjoyed this audiobook but near the end there is a ‘big revelation’ which solves the murder, only thing is the revelation is mentioned so often I was sick of hearing about it before it suddenly solves the case. Other than that I loved it.